Fulfilling the ideals contained in the Constitution is dependent on a solid legal framework, says Mogoeng Mogoeng, Chief Justice of South Africa. Healthy societies can only be built on pillars that include peace and security, respect for human rights and the rule of law. It is the entrenchment of the law and the deepening of the capacity of the judiciary that enables a country to flourish. True democracy cannot exist without it. South Africa’s Chief Justice, Mogoeng Mogoeng, explains that where the rule of law is observed, little or no room exists for unconstitutional regime change or election rigging. ‘This is so because courts can always be approached to ensure compliance with the regulatory framework that governs elections and a change of government. Proper observance of the law deepens democracy because it enables the holding of free and fair elections regularly and as prescribed. The Constitution upheld by South Africa is considered one of the most progressive in the world – so much so that US Supreme Court Justice Ruth Bader Ginsburg has heralded it as ‘a great piece of work’. What makes it so, says Mogoeng, is that the aspirations contained within are being given practical expression. ‘Millions of houses have been built for the poor; water and power are being rationed out to the financially under-resourced; and free education and medical treatment are enjoyed by the indigent and children of those earning below the breadline. However, as with all systems, while the Constitution is not perfect, it is innovative and broadly a well thought-out and thorough programme that is directed at meeting the needs of the economically disadvantaged,’ he says. 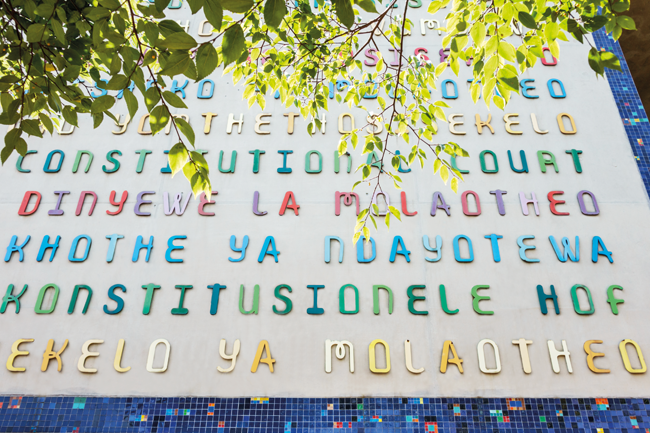 The checks and balances that South Africa maintains to ensure its Constitution is upheld encompass foundational values of openness, responsiveness and accountability – and these in turn enable good governance. This is achieved through a number of institutions that have key responsibilities to ensure the strength of South Africa’s constitutional democracy, such as the nation becoming arguably the first on the continent to insulate judicial independence. With that comes a deeper understanding of just how crucial the rule of law is. ‘Duly promoted and properly enforced rules of law translate into no single individual being able to exercise power that he or she does not have,’ says Mogoeng. ‘There should be no opportunity for anyone to disregard laws or disobey court orders. The Constitutional Court is the supreme law in South Africa. It is empowered to declare any law or conduct that is inconsistent with the Constitution to be invalid. In Mogoeng’s words, ‘it bears the responsibility of being the ultimate guardian of the Constitution and its values, as well as ensuring that all branches of government act within the law in fulfilling its constitutional obligations’. The onus of constitutional enforcement falls to nine judges under the Chief Justice and his Deputy. Appropriately qualified, fit and proper persons are initially nominated by the Judicial Service Commission, after which the public and legal bodies have an opportunity to comment on the suitability of the candidates. After a public interview and the presentation of 12 candidates (three more than are required), the President of South Africa makes the final decision on the nine appointments. 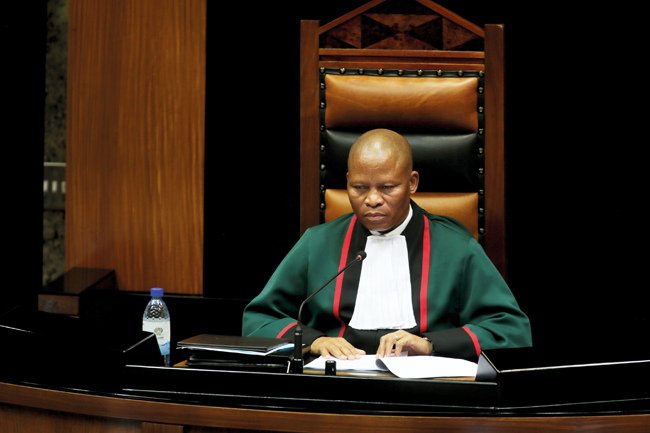 ‘Judges are required to take an affirmation – or oath of office – to uphold and protect the Constitution and the human rights entrenched therein, as well as to administer justice to all persons alike without fear, favour or prejudice,’ says Mogoeng. ‘We take our oath of office and judicial independence very seriously and will do our utmost to protect it. ‘I deal with the matters that come before the Constitutional Court in terms of the law, irrespective of who the parties are – and that’s the principle that is applied to all judges in the country. Mogoeng’s role is far greater than the constitutional arena, however. His role as head of the judiciary includes presiding over the Heads of Superior Courts meetings, the latest of which indicates the collective judges’ unwavering commitment to ensure justice towards the South African populace is dispensed. 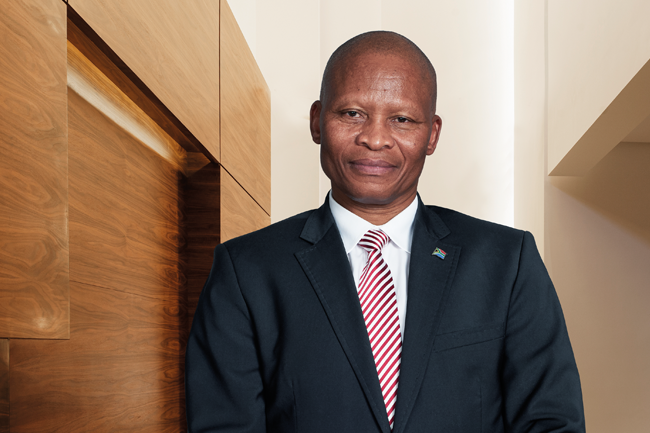 ‘We have also committed to the development of a system that will allow the judiciary to communicate issues relating to our performance; the use, adequacy and inadequacy of the budget available to us; as well as the infrastructural, logistical and judicial capacity-related challenges we face,’ says Mogoeng. These are issues the entire continent’s judiciaries face and why the Conference of Constitutional Jurisdictions of Africa (CCJA) has been a catalyst in unifying constitutional justice and arbitration across its member states. At the time the CCJA was established (in 2011) by presidents and representatives of African constitutional jurisdictions, there was a dire need to promote constitutional justice across the continent. Mogoeng has served as one of the organisation’s Vice-Presidents, and at the 4th CCJA Congress he was expected to be elected its President. In this capacity, he is cognizant of just how vast and intimidating the jurisdictional diversity in Africa is, as well as the value of the economic advances experienced over the past five years, which have played a significant role in effective and efficient change to African legal frameworks. ‘Judicial independence and the speedy delivery of quality justice to all in an effective and efficient manner has a very important role to play in creating the stability and investor confidence to incentivise more – and new – investment or capital injection in an economy,’ he says. Whether real or perhaps imagined, the perception that African jurisdictions are (among other issues) corrupt, not impartial and unreliable given political instability or civil unrest has been a factor that has restricted corporate investment. ‘The reality is that the corporate world and potential investors ordinarily require a particular environment to settle down, particularly in developing countries,’ says Mogoeng. ‘Broadly speaking, the environment they tend to insist on is one where peace, stability and constitutionalism exist – and where the rule of law is observed. ‘The success or failure of business often depends on the type of judiciary a particular country has. A compromised or corrupt one could easily ruin an otherwise flourishing business depending on what its members have been offered. This is something Mogoeng is sincerely passionate about. His view is that in many respects there is a lack of enforcement of corruption-busting legal machinery. ‘Africa desperately needs a truly independent and efficient judiciary in each of its nations to create peace and stability,’ he says.